How Green is Augusta National Golf Club, Home of The Masters? Augusta National Golf Club, the stunningly gorgeous home of the Masters, the first major championship of the 2016 season, takes center stage this weekend. While millions of golf fans will tune in to see if Jordan Spieth can defend his 2015 title and win his second straight Green Jacket (he’s off to a strong start with a 2-stroke lead after the first round,) GreenSportsBlog is interested in a different type of green–as in how environmentally sustainable the tournament and the course are. With apologies to the long, gritty history of the Open Championship-aka British Open-and the difficulty of the US Open, but in this reporter’s opinion, no tournament has more of a “Big Game” feel in golf than (pregnant pause),…The Masters. Yes friends, I’ve bought into Masters hype just a tad, despite the awful, treacly theme music, the piped-in bird sounds on CBS-ESPN, and the gravitas-laden “A tradition unlike any other” tag line. By the way, aren’t all traditions unlike all others anyway? For example, Thanksgiving is unlike the Sadie Hawkins dance. But, I digress. The course is not recognized by Audubon International, which has created a sustainability certification for golf courses, for eco-initiatives. The standard is considered quite weak, yet Augusta National has not qualified. Neither has Oakmont Country Club (PA), site of the 2016 US Open. Baltusrol (NJ), home to the 2016 PGA Championship, does make the cut. In terms of making aggressive environmental mitigation efforts, a 2012 National Geographic article opines that the club, due to its abundant water, doesn’t need to do much, that nature basically has blessed “Augusta’s groundskeepers [with the ability to] rely on minimal amounts of water, pesticides and fertilizers to keep up the course’s pristine appearance.” That the course is located on land once used as a nursery and is closed for play from May through October also helps. Other than that, Google searches for “Sustainability” and “Masters” and “Augusta National” yielded a raft of stories on the tournament’s poor social sustainability record (i.e. the well-documented and silly banning of women as members until 2012, the lack of black members until 1990, the ramshackle nature of the neighborhood outside the gates of the club.) But nothing more of substance on “the Masters” and “the environment” and/or “climate change” could be found. Here’s another Google search that yields next to nothing of value: “Augusta National” and “Progressive.” If it took losing a high-profile public fight for the club to finally admit its first women members in 2011, the famed Rae’s Creek on the 12th hole will freeze over before Augusta National will take a proactive stance on the environment and climate change. 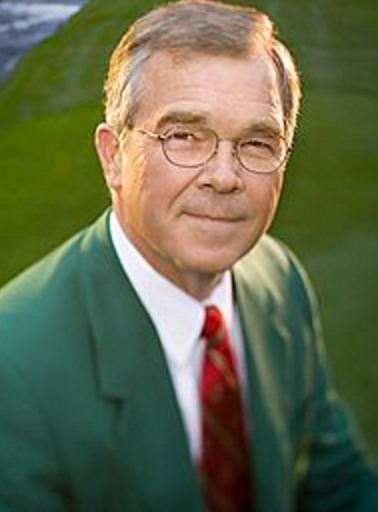 “The Masters, as perhaps the most beloved tournament in golf, and Augusta National, as the most iconic golf course in the world, have a tremendous responsibility to be good citizens of Georgia and of the world. Living up to that responsibility means we have to acknowledge human-caused climate change and the threat it poses to golf and to humanity more broadly, both now and in the future. Over the winter, over many discussions with climate scientists, business leaders, including the good folks at the Waste Management Phoenix Open, it became clear that the golf industry has to step up to the tee on climate change. We spoke with NHL Commissioner Gary Bettman and his sustainability team–they see how climate change is adversely affecting the heritage of outdoor pond hockey which has served as a springboard for countless numbers of players. Well if the NHL, which plays its games indoors, sees climate change as an existential threat and is taking action to combat it, how can we in golf, which is played outdoors, in climate change threatened locales from California to Florida, from Long Island to Texas, turn a blind eye to it? We can’t. OK, OK. I know what you’re saying: “Lew, you are more likely to win the Masters than Billy Payne is to say this stuff.” Sadly, you’re right. But, as I read Billy Payne’s fictional-but-not-outlandish future quote over and over, I thought to myself “Billy, this isn’t an outlandish statement. C’mon, be a leader rather than a laggard on a social issue for a change! It’s no harder than a 2-foot putt.” Probably not a good analogy the day after Ernie Els’ excruciating 7-putt, 1st hole implosion yesterday. But you get the idea. ^ Hopefully Billy Payne will see the light and my golf game will not be needed as I haven’t played in probably 8+ years.